I just read about a study that says cats hate being petted. Is that true? I love petting my cats! I guess some cats hate being petted. But most of us love it. And my human typist just looked at the study that says cats hate being petted and found out nearly everyone who reported on it misunderstood. Phew... That's a relief. I didn't think that sounded right. Every cat is different, and some like being touched more than others. I love being scratched under my chin, but don't touch my back! Here are some things I'd suggest when petting your cats. Be considerate. If the cat isn't in the mood to be touched, leave her alone. Reach out to the side of your cat's head, not her face. Some of us get really scared when we see a big hand coming right at us. Some of us also get scared when we feel a hand over our heads. Our Honey Cat is like that. While you could bury your hand in your cats' soft fur for hours, most of us prefer short petting sessions. When the cat has had enough and wants to go away, let her go. Don't hang on to her and force her to stay with you. You'll get scratched or bitten! Sometimes, petting can actually be painful. It can cause static electricity, which really hurts! It can also overstimulate the receptors where our fur meets our skin (those are my typist's words) and cause irritation and pain. 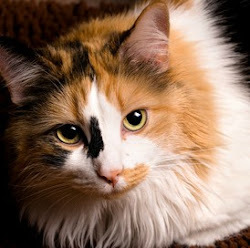 For some cats, prolonged petting can cause arousal and excitement. Get to know your cat and learn how many times you can pet him before he becomes overstimulated and scratches or bites. Most of us don't appreciate "belly rubs." In a fight, we need to protect our stomachs because that's where all our vital organs are most accessible. Having someone touch our stomachs is very scary, and most of us will bite or scratch to defend ourselves. Oh, and about those "love bites." Take it from me, they're not done out of love. Your cat's annoyed and wants you to stop touching her and go do something else. 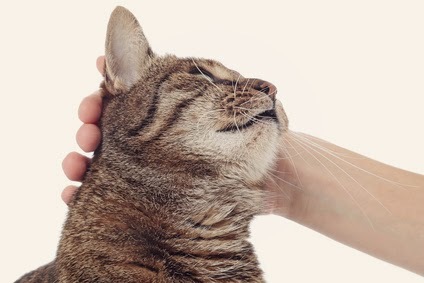 While my favorite thing is to be scratched under my chin, other good places to pet your cat are the base of her ears, her cheeks behind her whiskers and the base of her tail. While very few cats hate being petted, something we really do hate is when our humans spend all their time at their computers and forget that we're even around. So I hope you'll stop reading now and go pet your cats. They're waiting for you! 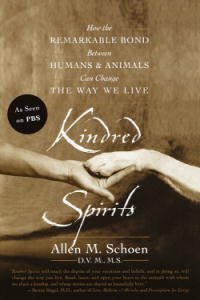 Our human loves this book.